Arizona Prison Watch: Perryville's Deaths in Custody: Christina Black, 52. Perryville's Deaths in Custody: Christina Black, 52. 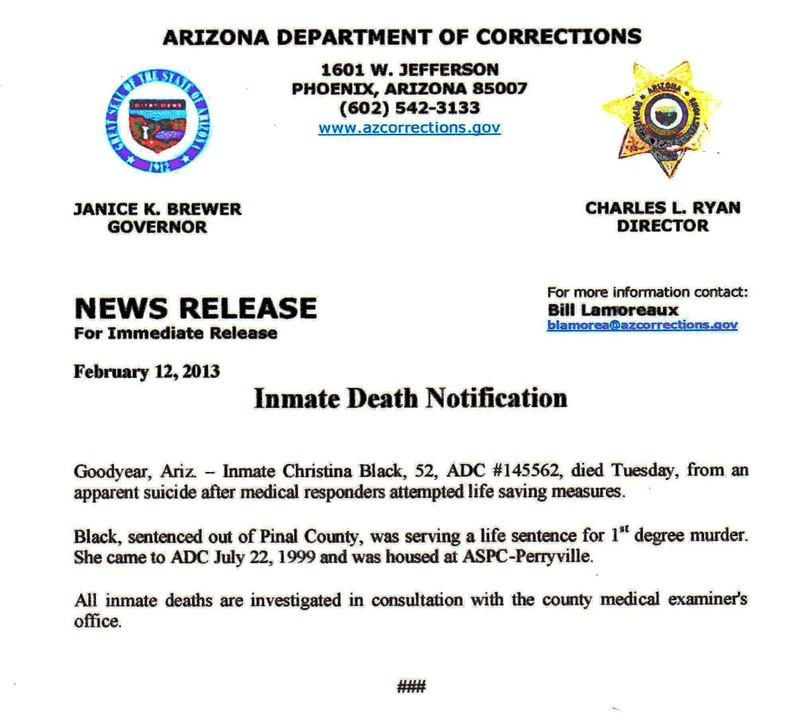 According to the Phoenix New Times, 52-year old Christina Black, who reportedly hung herself on the Lumley Unit at Perryville Prison Tuesday, had a history of paranoid schizophrenia. She was sentenced to life in 1999 for killing her grandmother a few years earlier, who was initially considered to have died of natural causes at 88. 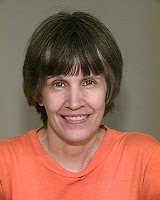 The police only arrested Christina after she contacted them to confess of her own volition. The New Times didn't mention Christina's motives for having confessed, but many people with serious mental illness are people of conscience who are devastated upon regaining their sanity to discover the harm they've done to loved ones and others when suffering from manic, depressive, or psychotic symptoms. They'd sooner have killed themselves than hurt another person, and many can't live with the guilt. Some are brave enough to try to move beyond guilt and take responsibility, not only for what they may have done under the influence of delusions, but also to prevent themselves from ever doing such harm to another person again. I wonder if that wasn't what drove Christina to turn herself in long after she had already "gotten away with the crime": she came into a period of mental and spiritual wellness. But much of that is speculation. If anyone out there really knows what happened with or to Christina, then and now, please let me know. The only narrative that others will be putting out otherwise will be limited to the state's version of her crime and her punishment. I'd like to know about her struggle, her strength, her reasons for being, and for no longer being. I need to hear from those of you who loved her to help tell her story - we must in order to try to stop this from happening again. Please contact Peggy Plews at 480-580-6807 or arizonaprisonwatch@gmail.com. That invitation to contact me is open to those of you worried about a loved one still alive in custody as well; I'll do what I can to help. 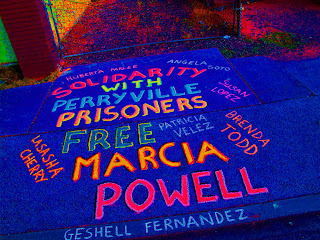 Arizona Prison Watch Newsletter: February 2013.